India is finding it impossible to rid itself of tuberculosis. What’s worse, the country could be overwhelmed by an epidemic of drug-resistant forms of the disease unless effective preventive measures are taken on an urgent footing. We examine what has gone wrong with India’s TB control programme and what needs to be done to fix the mess. New Delhi: Rail thin in a checked beige shirt, Mahendra Patwar waits in line at the Shastri Park chest clinic in north-east Delhi to take his daily dose of tuberculosis (TB) medication. The line curls out into a small courtyard, women and men covering their noses and mouths with bits of cloth. This is a familiar scene for Patwar, who has been battling TB for nearly eight years. First diagnosed with the disease at 20, Patwar was prescribed daily treatment for six months, and declared cured. But three-and-a-half years later, he started coughing again and losing weight. The second time, he was given a higher dosage of treatment for eight months. Then, when it came back again two years later, another four months of medicines. Finally, he was diagnosed with multi-drug resistant tuberculosis (MDR-TB)—a persistent strain that does not respond to the two most powerful first-line drugs—isoniazid and rifampicin. While normal tuberculosis can be cured by first-line drugs within six months, MDR-TB requires stronger, more toxic treatment that lasts for between two and three years. Patwar began MDR-TB treatment several months ago, involving a daily regimen of pills and an injection. Due to the severe side effects—nausea, loss of appetite, ringing in his ears and severe joint pains—Patwar has been unable to work. He spends his days whiling away time in front of the TV, waiting for his next trip to the clinic. Patwar represents one of the “easy" MDR-TB cases: He has a permanent address in Delhi, and rarely misses a dose. Despite his commitment to treatment, the efficacy is only about 50%, according to S.K Arora, Delhi’s State TB control officer. But thousands of other patients are starting treatment and stopping before its completion, or not getting treated at all. Migrant workers in particular have emerged as a critical group in the battle against MDR-TB, as they are at higher risk of contracting the strain of TB, but are among the least likely to complete treatment. “The spread of MDR-TB is a grave public health risk that needs to be taken very seriously," said Dennis Falzon, a specialist with the Stop TB programme at the World Health Organization (WHO) in Geneva. “Drug-resistant tuberculosis is a man-made phenomenon. It’s due primarily to improper treatment of TB. If TB is treated improperly or inconsistently, drug-resistant strains emerge—once they emerge, they can spread to other people." India is entering a critical time in the battle against TB: While overall TB cases are down, a March report by Doctors Without Borders estimated that more than 99,000 new people are infected with MDR-TB in India each year, only 1% of whom receive adequate treatment. In January, India became the second country in the world to report a strain of TB resistant to nearly all known drugs, controversially termed “total-drug resistant tuberculosis" by Dr Zarir F. Udwadia, a national TB expert and consultant chest physician at the Hinduja Hospital in Mumbai. 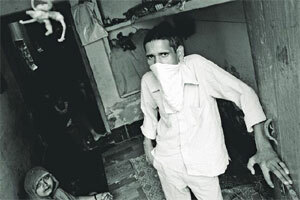 Cases of “extreme-drug resistant" tuberculosis or XDR-TB—a strain that resists both first and second-line drugs, with a mortality rate of roughly 60%, according to Udwadia—also appear to be on the rise: Sandeep Saini, the doctor who runs the Shastri Park Chest clinic where Patwar is treated in New Delhi, saw his first two cases of XDR-TB in June. It’s easy to see why the disease is so difficult to control: First-line tuberculosis treatment requires a daily dose of oral medication for between six and eight months. A patient can develop MDR-TB through improper drug dosage, by taking expired or poor-quality medicine, or the most frequent reason—defaulting from treatment. The drugs prescribed for the treatment of MDR-TB often cause debilitating side effects and need to be taken daily for between two and three years. Even then, the success rate is estimated at only 50%, according to Arora. Patients who default on MDR-TB treatment become vulnerable to developing XDR-TB, with success rates of less than 40%. Left untreated, each person with active TB will infect 10-15 new people each year. Multi-drug resistance is proportionally higher among migrant labourers, who are also among the least likely to seek treatment, and frequently default on existing government TB treatment programmes, according to Udwadia. “MDR-TB and migrants represents a special problem," he said. “They fall through the gaps in the system. They often lack proof of identity or ration cards, and are sometimes not accepted into the DOTS programme. They have high default rates and they are impoverished—a double whammy." DOTS refers to the WHO-approved Directly Observed Treatment Short course programme. A 2010 report on default rates funded by the National TB Control Programme found that fully one-fifth of repeat defaulters did so due to migration. “There needs to be better outreach to migrant communities. This is an excluded community in every aspect of public health, not just TB," said Anjali Borharde, an assistant professor at the Indian Institute of Public Health. “The system should not assume that migrants will come to them. There needs to be outreach where the migrants are living, to provide treatments at work sites and enlist the help of employers." The Indian government is keenly aware of the dangers posed by the spread of MDR-TB and began unrolling a new programme in 2006 as a pilot project and implementation started in 2007 in Gujrat and Maharashtra states and in 2008 in Delhi to treat the growing case load. An extension of DOTS, DOTS-Plus provides MDR-TB drugs daily to patients at local DOT centres under the direct observation of health care workers. Under the new programme, health care workers note permanent and as well as local addresses, so that in the event of a default, patients are easier to track down. Despite such efforts, default rates in the MDR-TB programme remain high—15% to 20% according to Dr S.K. Arora, Delhi’s state TB control officer. Diagnosis is another issue: The current sputum test for TB is nearly 50-year-old, and can accurately diagnose the disease, but is unable to differentiate among normal TB, MDR-TB and XDR-TB. Improper diagnosis further complicates treatment, as giving a patient with MDR-TB inadequate drugs ends up strengthening drug resistance. Under the current system, patients diagnosed as TB (and is not an MDR suspect) is given first-line drugs.If that doesn’t work, and the patient is diagnosed as MDR-TB then second-line drugs are given. A diagnosis for MDR-TB is only done once a patient is an “MDR-suspect", because they have not responded to previous treatment. The government is working on faster ways to diagnose MDR-TB patients: A new method for diagnosis, called Line Probe Assay (LPA) is available in all districts in Delhi and in several other states, and can detect MDR-TB in two-three days. The government is also piloting the use of the “gene expert test" in 18 states including Delhi, which can detect TB and MDR-TB in just 100 minutes. “Because many of these patients have defaulting attitude earlier, that is why they have developed resistance," said Arora. “They become more likely to default in the DOTS-Plus programme, too." Currently, only 49% of India is covered by the programme; the government aims for full coverage by the end of 2012. Yet, concrete strategies aimed at retaining migrant workers, as well as other high defaulting populations such as slum dwellers, the homeless, Muslim girls from disadvantaged backgrounds who are often confined to the home, and drug users, have remained elusive. Arora said that under the new strategy, all patient records have been moved to an online system in an effort to provide universal access to patient history in the event that someone defaults only to resume at a new centre. But in reality, many centres have yet to adopt it. The programme also has a transfer form detailing treatment history that patient can carry to a new centre while migrating. In an effort to improve outcome and prevent default, the government has partnered with Operation Asha, a non-governmental organization that focuses exclusively on TB eradication, to provide a programme of aggressive outreach, putting the responsibility on local, trained counsellors from the community to ensure patients stick to treatment, rather than expecting patients to show up at a centre every day. “Counselling is the most critical retaining patients in treatment ," said Shelly Batra, the president and co-founder of Operation Asha. “We train counsellors to educate patients, follow treatment, and ensure compliance." So far, the programme appears to be working. Santosh Kumar is a migrant from Bihar, who has been undergoing treatment for MDR-TB for nearly four months. He sits in a dusty plastic chair in a sunny two-bedroom home he shares with his wife and two children. Although Kumar knows life would be easier in Bihar where he could stay with his parents, there are no government DOTS-Plus centres that provide free MDR-TB medication near his village. So he has decided to remain in Delhi with his family until his treatment is complete. “I cannot afford the medication in Bihar," he said. “They tell me this is the last chance I have to survive."